Today, I am starting my vacation mode. Yey! So, as much as I want to update daily, my schedule will be tight because I just got 2 weeks to enjoy my vacation, really! 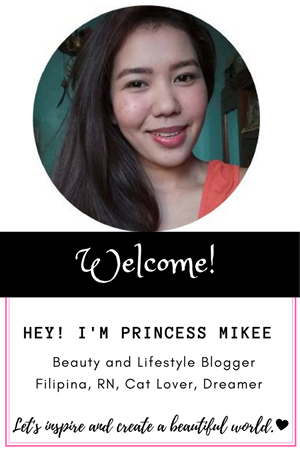 I was super happy, excited and looking forward for my vacation here in our province Bicol. 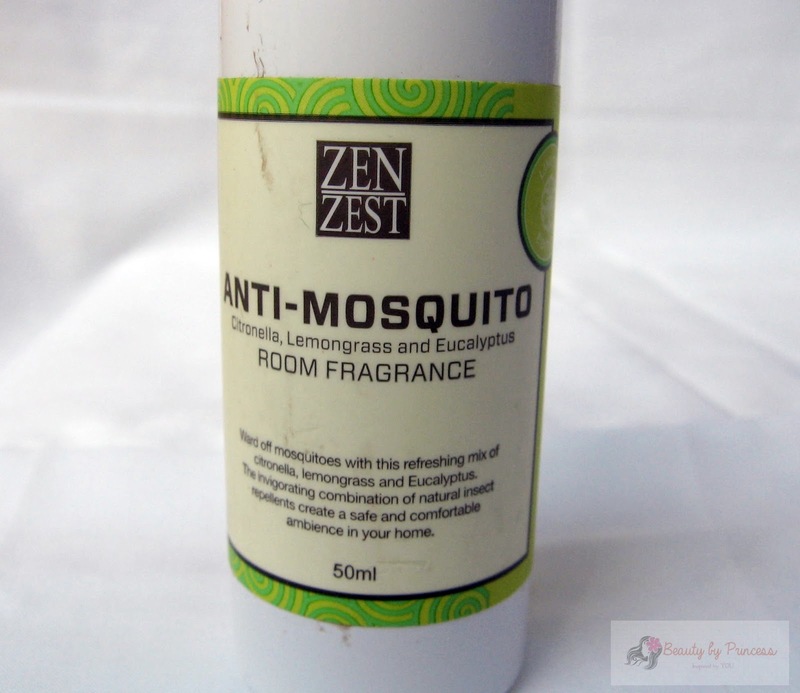 But for today, I just want to share my buddy for this vacation the Zen Zest Anti-Mosquito Room Fragrance (plus the sunscreen, of course!). This comes just perfectly in time. 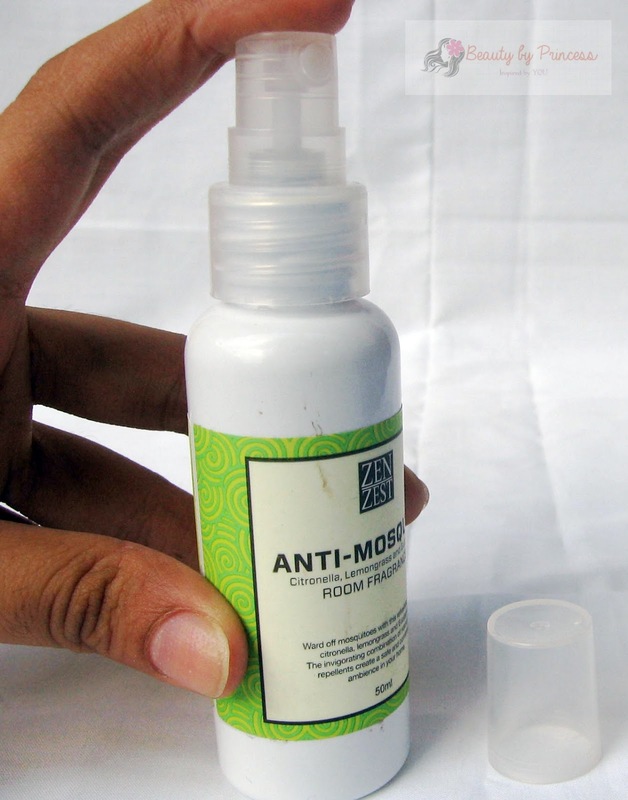 As I mentioned earlier, I am here in Bicol Philippines to spent my entire 2 weeks vacation and this anti-mosquito spray just comes in handy for mosquitoes especially here in the province where many bugs and insects comes at night. What I have here is a sample size (50ml) from Sample Room. The full size is 250ml which is good enough for daily use. 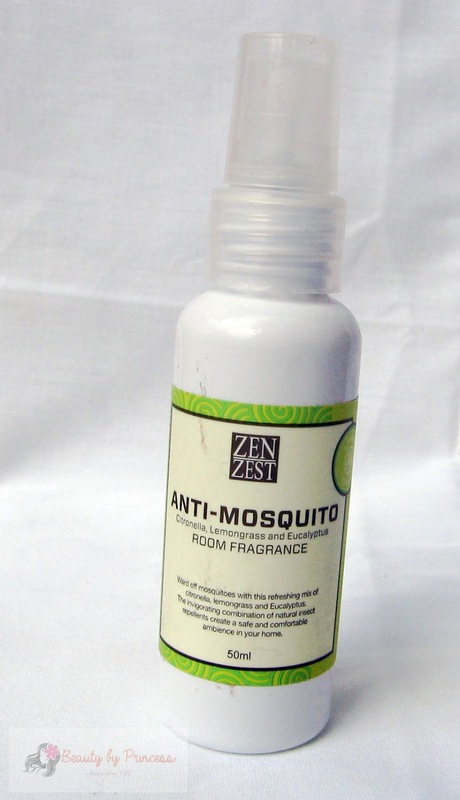 It is very easy to use in just a spray you will put mosquitoes away. It is because of the smell which makes the mosquitoes turn down. You could smell the aroma of lemon grass, eucalyptus and citronella which I guess not pleasing to the senses of mosquitoes. As for me, the smell doesn't really stinks not like some of anti-bugs and cockroaches sprays, it is more like a scent of leaves (something like that) so for me, it smells refreshing and kinda calming to my senses. I sprayed it in the entire room and viola! I can now sleep soundly without that itchy bite from mosquitoes. By the way, the smells just disappeared minutes after you sprayed it but once it settles in the sense of mosquitoes they will not come back (yeah, maybe!). As per my experience, yes it works for me. 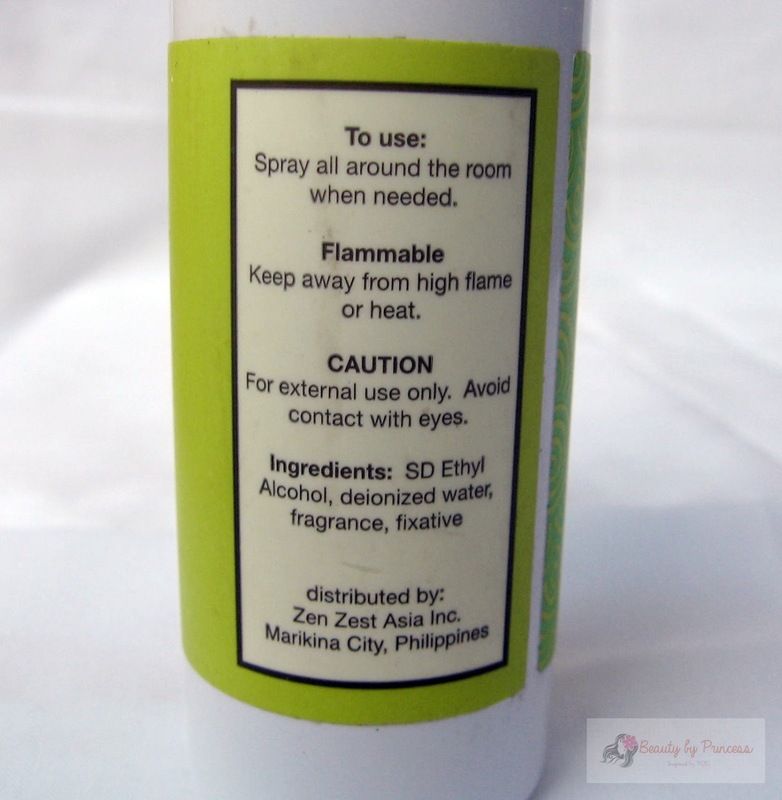 I personally hate an itchy bite or just little red spots on my legs after being bitten by an insect and especially mosquitoes ( and worst, we don't want dengue to happen) so good thing, I have this together with my mosquito repellant lotion which makes my room smells good at the same time puts away mosquitoes. Thumbs up! 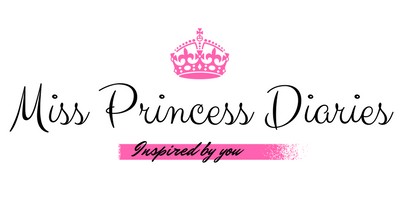 Check out Sample Room to get sample of products.